Return on Investment (ROI) or Value on Investment (VOI) Calculators are included to provide you with tools to understand the cost benefits of your proposed solution so that you will be able to address the financial metrics as well as the potential patient outcomes. Table 1.1 provides a list of outcome measures that are mandated or commonly tracked in schools and service settings. These type of data lend themselves to the various calculators. Since this data is easily available at no extra effort/cost, it may be beneficial to use these metrics where applicable as evidence of change after your proposal is implemented. Whenever possible you will want to link your proposal to what is already being gathered and tracked as metrics even if you add additional metrics. A cost could be associated with some (cost per day to train new hire, for example). A Cost Calculator is also provided to assist in calculating the expected costs for your proposal. It may be a bit harder to allocate cost in academic settings and of course, applicability from one institution to another will vary. 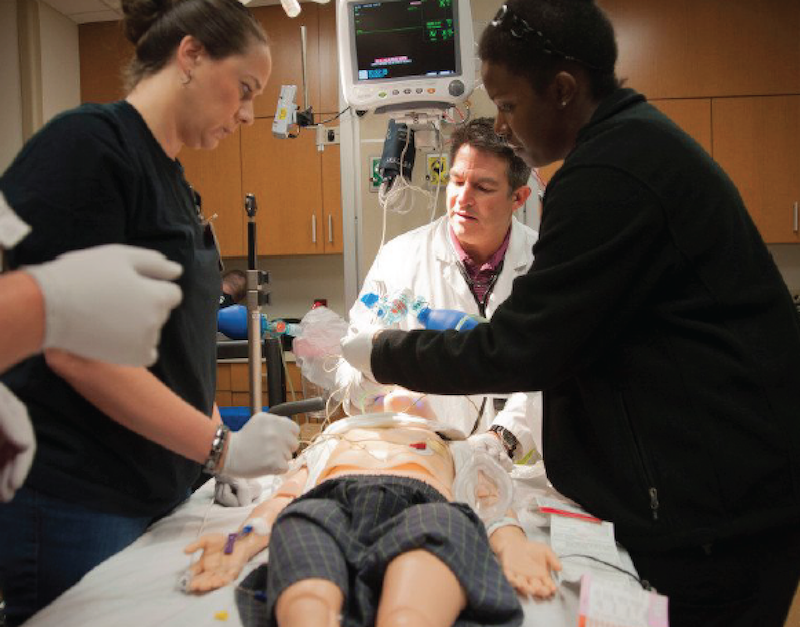 The purpose of this resource is to show how to calculate a return on investment (ROI) of simulation training in a hospital setting. This ROI is based off Decreasing Malpractice Claims by Reducing Preventable Perinatal Harm by William Riley, Les W. Meredith, Rebecca Price, Kristi K. Miller, James W. Begun, Mac McCullough, and Stanley Davis. Use the menu bar on the right for various ROI resources, or go back and learn more about Measuring the Outcomes and Milestones.